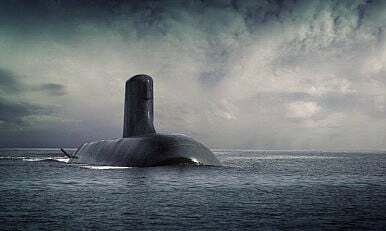 Australia on Monday signed an agreement with France for the supply of twelve state of art submarines worth 30 billion euros equivalent to USD $ 33.8 billion. The submarines will help Australia to secure its strategic influence in the region. During a ceremony in the Australian capital Canberra, Aussie Prime Minister Scott Morrison defined the deal with the French arms company Naval Group as “the greatest investment in peacetime defense”. The French Naval Group had already been awarded the contract for the construction of the submarines in 2016. The French defense company, which was still called DCNS, prevailed among others against the German competitor ThyssenKrupp. The Naval Group is over 62 percent owned by the French government. The submarines are to be delivered from the beginning of the 2030s. These submarines will replace the outdated stock of the Australian Navy. The submarines are built in Adelaide in the south of the country around 2800 jobs will be created. Construction of these submarines will create around 500 job opportunities in France. French Defense Minister Florence Parly called Canberra’s armaments business a sign of “trust” between the two countries. This will give Australia a strategic “advantage over the entire region”. In the north and east waters of Australia, China, America and the other regional powers are tussling for influence. Beijing claims the South China Sea and has built several artificial islands. US worries that China wants to secure influence over the important shipping channel.